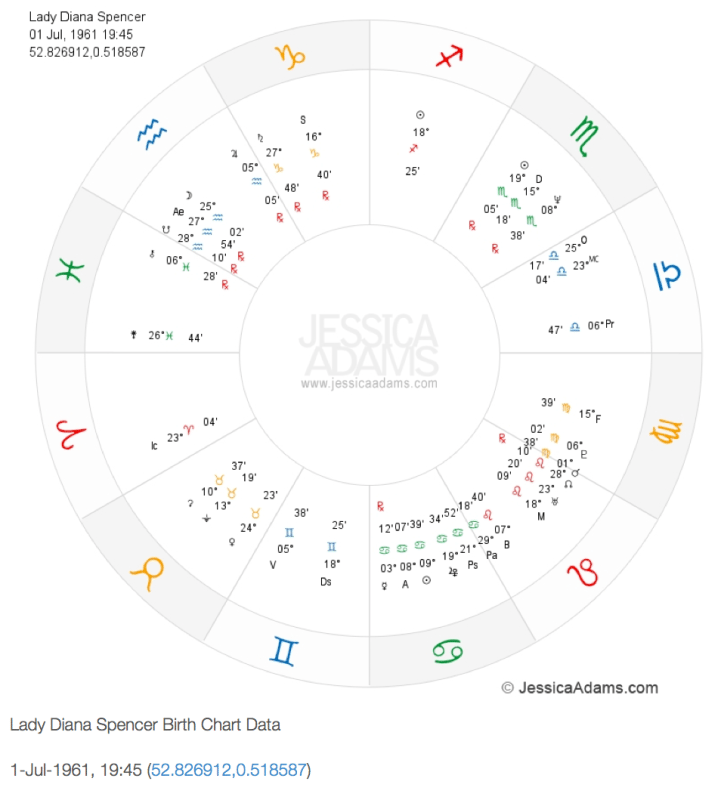 Premium members can create their personal birth chart containing all the planets and asteroids Jessica talks about in her forecasts and predictions. Want to create your birth chart? 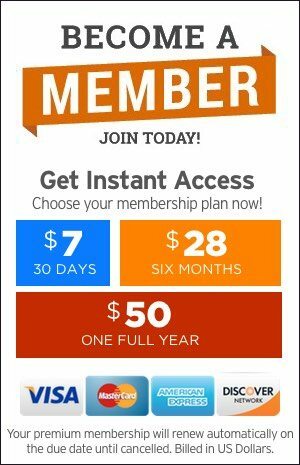 When you create your chart you can use the Current Planetary Positions feature of this website to track the cosmic weather and as a premium member you will get updates to match against your own chart with each weekly and monthly horoscope forecast. Read your birth chart in conjunction with Your Guide to Heavenly Bodies and How Astrology Works. 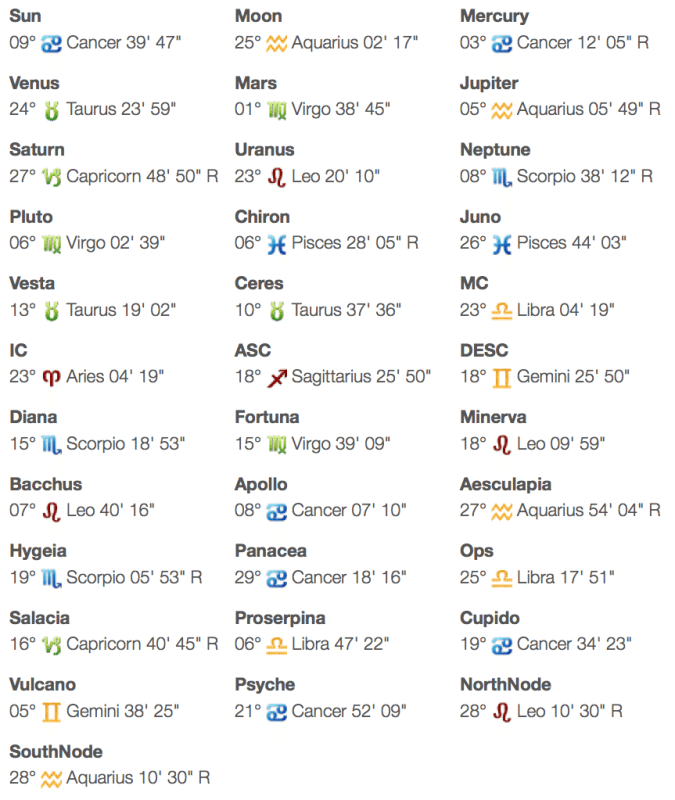 What do the birth charts look like? 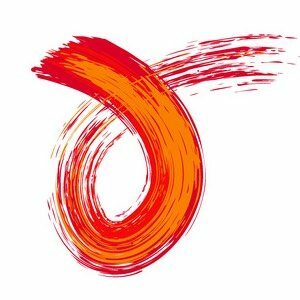 Birth charts contain your unique birth chart wheel and all 32 corresponding aspects based on the Aries 0 Ascendant (Natal House system). You can see an example of our birth chart here, one we created for Lady Diana the late Princess of Wales.